Mac OS X Snow Leopard: should you upgrade? 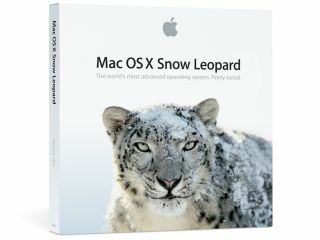 Mac OS X Snow Leopard: significantly less rare than the animal it's named after. As you'll doubtless know by now, version 10.6 of Mac OS X - or Snow Leopard, as it's being marketed as - is available from today. Leopard (10.5) users can upgrade to the new OS for just $29/£25, though if you're still using Tiger (10.4) you'll have to buy the Mac Box Set, which also includes iLife '09 and iWork '09, for $169/£129. Given the low cost of the upgrade, it probably won't surprise you to learn that Snow Leopard represents a tweak rather than a major overhaul of OS X, but there are certainly things in it to entice the music maker. For a start, Snow Leopard promises to give you back around 7GB of hard disk space, a 'feature' that will appeal to storage-starved laptop users in particular. A more responsive Finder and faster startup/shutdown times are also on the agenda. However, despite its affordability, MusicRadar's advice to musicians - particularly those who are working in a professional capacity - would be to not install Snow Leopard immediately. There's no compelling reason to do so, and music software/hardware developers are still going through the process of testing their products under the new OS. If you want to keep track of the current compatibility situation, check out the Snow Leopard Watch Page at Create Digital Music, which already features contributions from the likes of Tascam, Ableton, Native Instruments and Propellerhead. The consensus seems to be that, although no major sticking points are anticipated, there could be teething problems (it's being reported that some PreSonus hardware is currently incompatible, for example) so holding fire for a week or two (at least) probably makes sense.